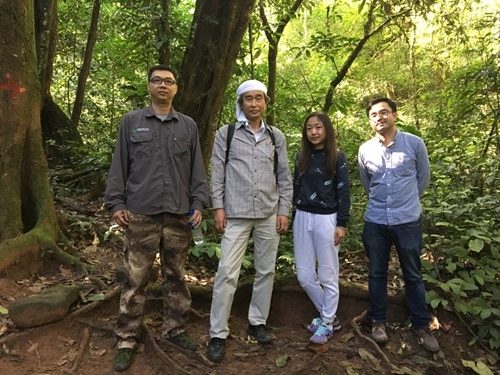 Prof. Tetsukazu Yahara from Kyushu University of Japan, who’s also co-chair of the Asia-Pacific Biodiversity Observation Network (AP-BON), paid a visit to Xishuangbanna Tropical Botanical Garden (XTBG) from January 22 -25. The tour was to discuss cooperation potential on biodiversity observation and studies. During his stay in XTBG, Prof. Tetsukazu Yahara introduced the AP-BON with a title of “Introduction to AP-BON and SE Asian Plant Diversity Assessment”. Prof. Lin Luxiang introduced XTBG plot-based platforms for forest ecology research. Afterwards, the two sides discussed how to carry out cooperation on biodiversity monitoring and research, in the thought of “small-big- super plots”. They specifically talked about setting up plot network in Indo-China Peninsula at the gradient of longitude, and establishing database of functional traits and DNA barcoding of trees in southeast Asian countries. 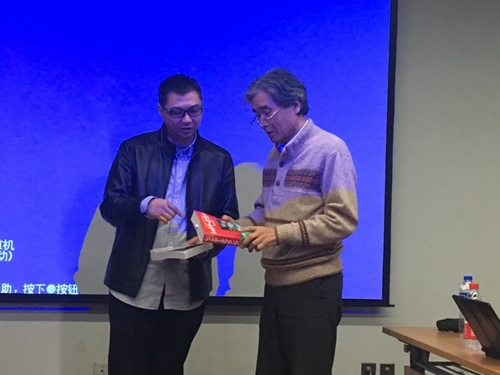 In addition, Prof. Tetsukazu Yahara invited Prof. Lin Luxiang to be a member of the working committee of AP-BON. Prof. Tetsukazu Yahara then made field tours to the 20-ha forest plot and other 1-ha plots, canopy cranes, etc. He also discussed discovery of new plant species with XTBG researchers.